Creature Comforts Wales is a family run business with a wealth of experience in caring for animals. The pet sitting service that we offer is tailored to the specific needs of our clients and their pets. We will come to your house so you are able to go away safe in the knowledge that your beloved pets are being well cared for in their own familiar environment. We pride ourselves in offering more than just a ‘pet sitting’ service. We can administer medication and see to any special dietary requirements. Also we know the importance of interacting with cats and dogs through play to avoid boredom, so this is always factored into our visits. We enjoy looking after smaller animals too such as rabbits and guineau pigs! 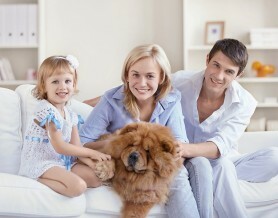 See our full list of pet care services for more details of what we can offer you and your pets. In the event of adverse weather or traffic conditions we will endeavour to complete all our visits. This may mean we will be later than we had agreed during our initial consultation.